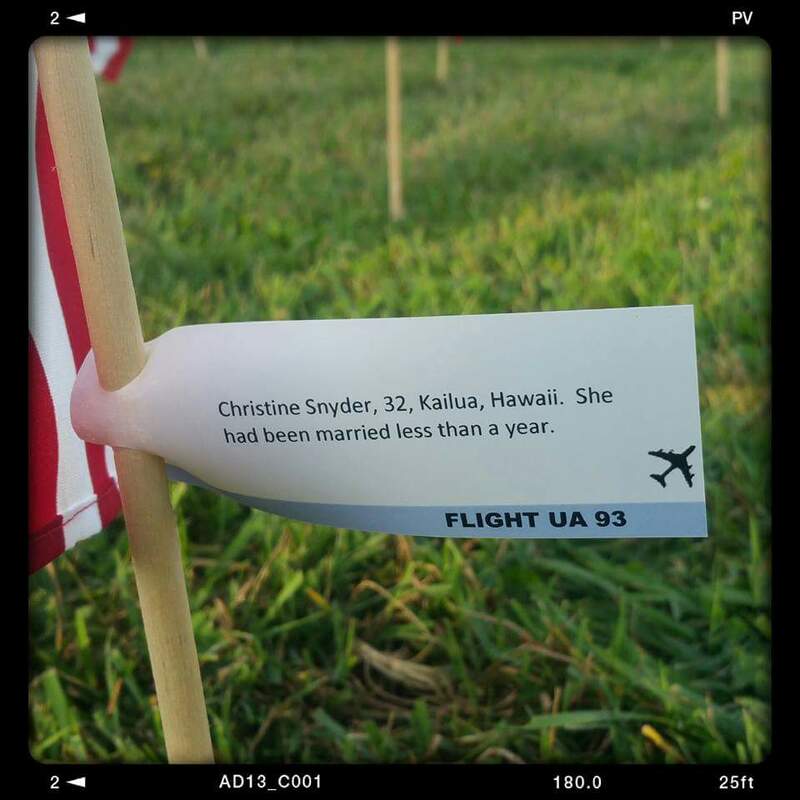 In September, 2002, Exchange member Kimberly Swassing and her daughter's Girl Scout Troop from St. James/Seton Catholic School assisted Lynn Castriano in creating a tribute to all those fallen on September 11, 2001. 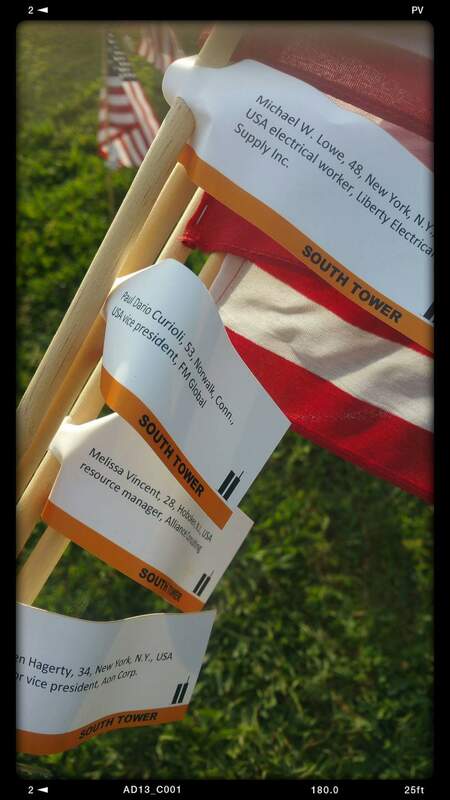 Lynn lost her brother, Leonard Castriano, on that day in the Towers. 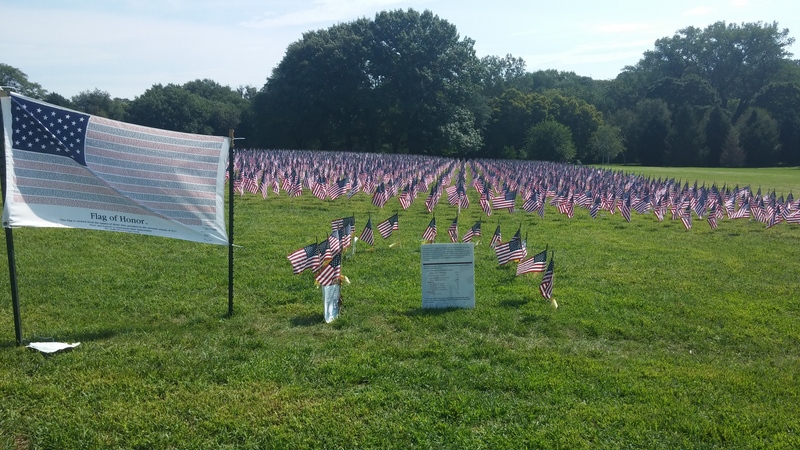 The tribute consists of a flag planted in honor of EACH person lost that day, tagged with information including their name, age, a small bio, and WHERE they were at the time. 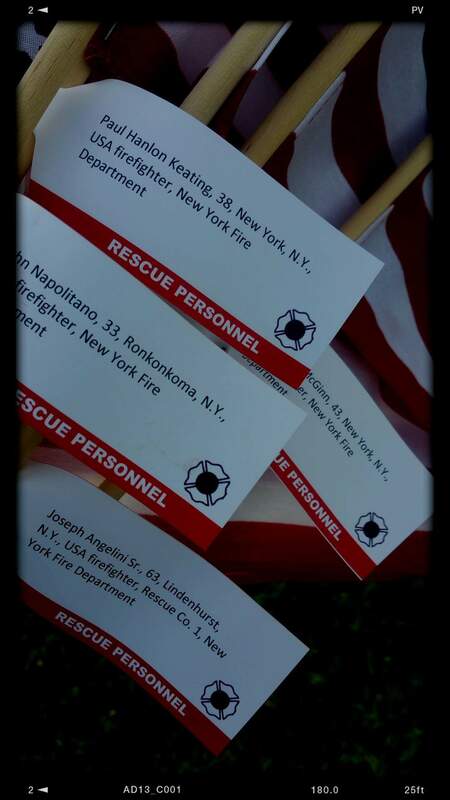 The color of the tag signifies their location - in the North or South Tower, The Pentagon, on a specific flight, outside, or as a rescue worker. 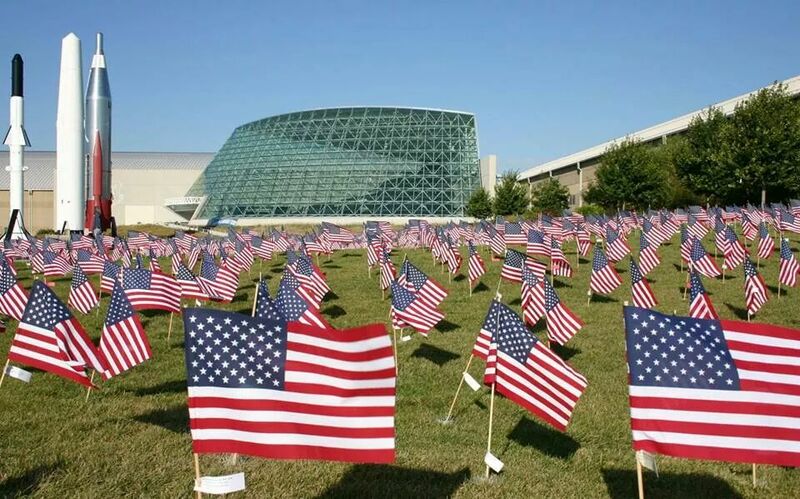 A special golden circle of flags portrays those whom were lost with a Nebraska connection. 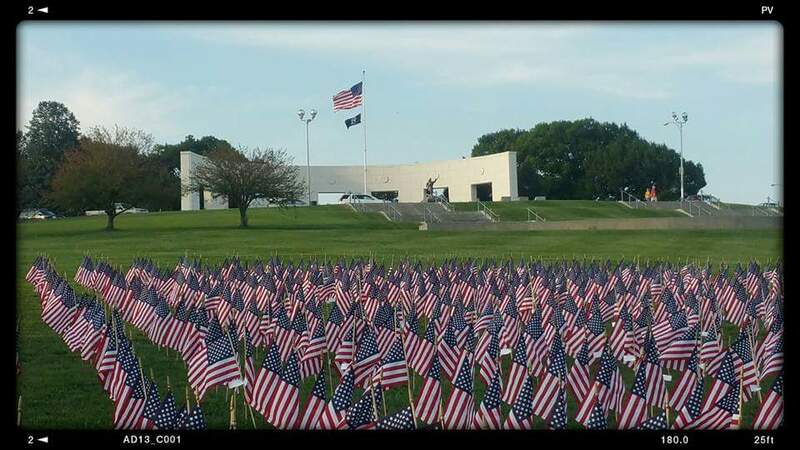 After many, many long hours of preparation, planning, and physical work, the first tribute was completed at The SAC Air Force Museum (also assisted in planting by Exchange Club member Ron Swassing). It remained here for several years, before being granted permission to use Memorial Park as the location for the tribute. In 2003, the entire Exchange Club of Omaha partnered to assist Lynn, as volunteers were scarce at the time. Over time, as volunteers have expanded to include several Girl Scout and Boy Scout troops and members from a local Rotary Club, the yearly tribute has become a well-oiled machine, and is a fixture in the community. Adults bring their children in honor and as a teaching tool, teachers bring their students, and people of all ages are seen wandering through the flags during the display time. 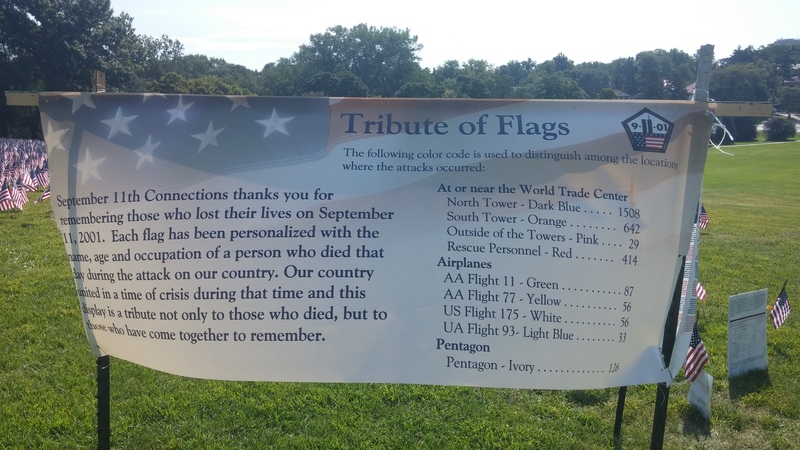 Mementoes, pictures, and letters are often left on the flags, bringing those persons to life. Lynn has collected these each year to share in the future.